For Pakistan, the options are clear: build with China, or destroy with Saudi Arabia. So far, it has chosen wisely. Beijing wants to build up Pakistan's infrastructure as part of their New Silk Road project. Riyadh and Washington will look to destroy Pakistan through the use of religious fanatics, jihadist mercenaries, and their proxy armies of drugged up terrorists, as they have done in Syria and Libya for the past four and a half years, and as they're currently doing in Yemen. None of these nations will survive, let alone thrive and prosper, as long as Saudi Arabia stands. That's the truth. Saudi terrorism in Yemen is unwisely being backed by the world, but the long-term consequences of its criminal actions won't be felt by Yemen alone. Saudi Arabia is a bigger cancer in the region than Israel will ever be. Rulers who accept their money like Sisi of Egypt will come to regret it. They are supporting genocide and welcoming the destruction of their own countries by accepting their bribes. Saudi-and-Turkish-backed terrorists in Syria are planning for the genocide of the Alawites, and most likely other minorities and "infidels" as well. Right now they lack the means to make their genocidal fantasies come true, but that will change in the near future. The U.S. and Israel are actively aligned with these genocidal maniacs in Syria and Yemen. They're not just protecting these terrorists rhetorically in their media by obnoxiously referring to them as "rebels," they're also providing them with tons of cash, air cover, high-tech weapons, medical aid, training, and other forms of military support. For Pakistan to see the light, and understand that engaging in the destruction of a helpless country like Yemen is not in their best, long-term interests shows that it has some sense after all. It is good to see, even though it was Chinese money, and not morality or a sense of justice, that ultimately made them decline the invitation to the Saudi slaughterhouse. A report published Monday in Pakistan’s Express Tribune makes the case that the impending Chinese financing buoyed Islamabad’s conviction in standing neutral while the Saudi-led coalition bombed Yemen. The billions in investment announced during Xi’s visit overshot what any of Pakistan’s Arab allies could offer. Certainly, it is preferable for China if its ally and beneficiary stays away from foreign entanglements when it faces a major security threat at home from extremist groups. Shortly after Xi’s departure, Pakistan announced that it would create a security force comprising nine army battalions and six wings into civilian security forces to protect Chinese workers in the country. 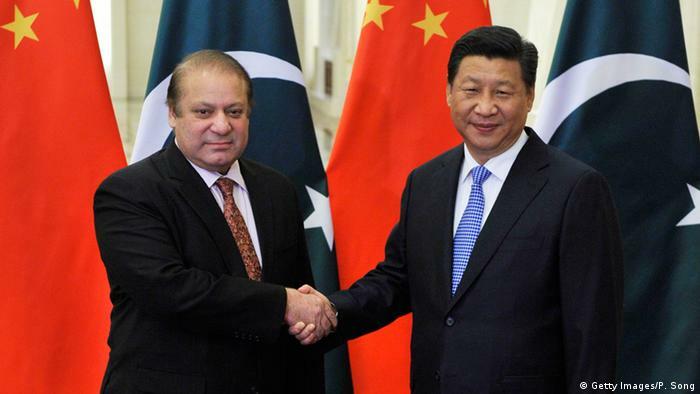 Islamabad appeared to be doubling down its commitment to China over its Arab benefactors.